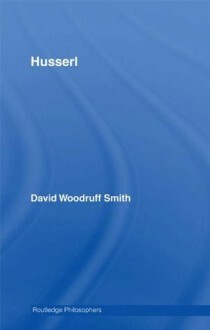 This second edition of David Woodruff Smith’s stimulating introduction to Husserl has been fully updated and includes a new ninth chapter featuring contemporary issues confronting Husserl’s phenomenology. It introduces the whole of Edmund Husserl’s thought, demonstrating his influence on philosophy of mind and language, on ontology and epistemology, as well as ethical theory, and on philosophy of logic, mathematics, and science.Starting with an overview of Husserl’s life and works, and his place in twentieth-century philosophy and in Western philosophy as a whole, Smith introduces Husserl’s conception of phenomenology, explaining Husserl’s innovative theories of intentionality, objectivity, subjectivity, and intersubjectivity. In subsequent chapters Smith covers Husserl’s logic, metaphysics, realism and transcendental idealism, epistemology, and (meta)ethics. Finally, the author assesses the significance and implications of Husserl’s work for contemporary philosophy of mind and cognitive science.Also included is a timeline, glossary, and extensive suggestions for further reading, making Husserl, second edition, essential reading for anyone interested in phenomenology, twentieth-century philosophy, and the continuing influence of this eminent philosopher.